Can’t live on a meal by meal basis because you aren’t sure what’s going to happen in everyone’s day? Can you take 1 day a month to cook for the whole month? Then check out Once A Month Meals. It allows you to do just that, choose recipes from their site, go grocery shopping from the prepared list, prepare and cook the meals, and flash freeze the meals. Then you can pull the food out of the freezer when you’re ready to reheat and eat when needed. Don’t worry. They tell you how to make, flash freeze, and reheat the recipes! A Once a Month Meals membership grants access to ALL menus for all menu types. Members can use any new menu or any menu in the archives (they have over 600! ), and they do not have to choose a menu type. Additionally, they are able to fully customize any menu to fit their individual needs and preferences (more details here). All members have access to the Once a Month Meals Community! This is their space – their kitchen table, if you will – where they talk all things freezer cooking! 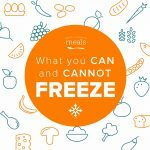 Search for tips and advice, connect with other freezer cooks, and share your story and experience.To “try before you buy,” sign up for our newsletter and receive a dietary specific mini menu. (Note: These menus come in a PDF format and are set for four servings and cannot be customized. But they give you a good idea of what the printed resources look like and how they set up a freezer cooking day.) All Once a Month Meals memberships are recurring – details can be found here. We do not offer refunds on monthly memberships – details on why are included here. What is OAMM’s membership model? Simply put, to focus on our current members. We believe in providing our members with the best customer experience and strive to help people meet their meal planning and lifestyle goals. We want to take time to hone in on what is working well, improve the things that aren’t, and love on our members in new and exciting ways! By focusing more on our current customers, we can increase the value of our membership. The next open dates won’t be until the summer. Why should my followers buy now and not wait for membership to open next time? To lock-in their membership! At this time, we won’t open to accept new members again until the summer. By joining now, members will get in at the current price point in the event our membership price increases. Do you know a blogger who has more than 15 recipes with pictures on their site? If so, you could beat me to the punch to have them apply for our Recipe Affiliate Program. For EACH Recipe Affiliate (RA) you send our way that is approved* we will award YOU and the new RA a $50 Amazon Gift Card. Simply encourage them to apply and, when they do, to indicate that YOU referred them. Their site will be reviewed and both parties will be notified. They are creating meals for you to make, store in the freezer, and get out when you need it. 5 super easy weight watchers recipes, to make 10 ready-to-go meals! Did we mention they are 4 Freestyle Points or Less! Stick to your goals and diet with these fast and furious weight watchers meals for the freezer! Don’t forget that we have all new menus for Traditional, Paleo, Real Food, Instant Pot, Slow Cooker, and Keto that also came out on November 1st. They all have a featured icon on them on the menus page. 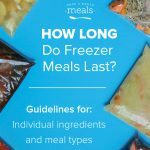 Also 25 new gluten-free, dairy free recipes, how to make ahead freezer meals with no time, healthy meals in your slow-cooker, dinner for back-to-school days, and how about 7 incredible freezer cooking hacks! Simple and easy-to-assemble dump-and-go Autumn meals that are no mess to prep!